The MiR Narrow Vest is designed espcially for Crossfitters, with its sleek design you will be able to get the maximum workout with the vest secured tightly to your body. 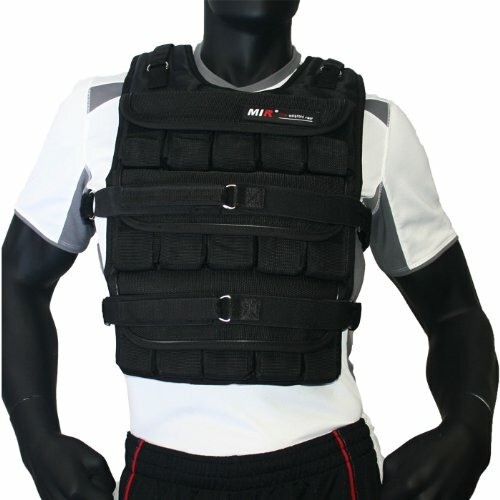 New 2012 series, MiR made this vest to make sure whether you do push ups, sit ups, dead lift, burprees, or any high movement actions, this vest will add the perfect resistance without adding any movements on your body while wearing this vest. With it's compact design, you can train for the Crossfit games and more. Small,compact,and great for Crossfit training. The MiR 2010 Narrow-Crossfit Vest is designed for one thing and one thing only, to train Crossfitters and bring them to the next level. 90 Lbs. Total, Increment 3Lbs. Two Velcro belts included. Max weight of vest 75lbs. One size fits all.